Lucy Buttenshaw is a regular exhibitor in galleries around Australia is represented in the collections of many regional galleries. She has a reputation for highly expressive and bemusing works, many of which feature rural stories and interactions. 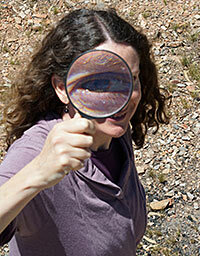 Lucy is based West Wyalong, NSW, 50km from the Lake Cowal property on which she was raised. The Lake and its creatures play a significant role in her paintings, even when she travels, it still shapes her perspective of the world. PAINTING with Lucy Buttenshaw Wednesdays 6:40pm - 9:10pm Ongoing drop-in sessions painting advice, painting time plus an illustrated art discussion. Come and join us at Wyalong Public School. Wyalong, NSW. Just $25 per session. 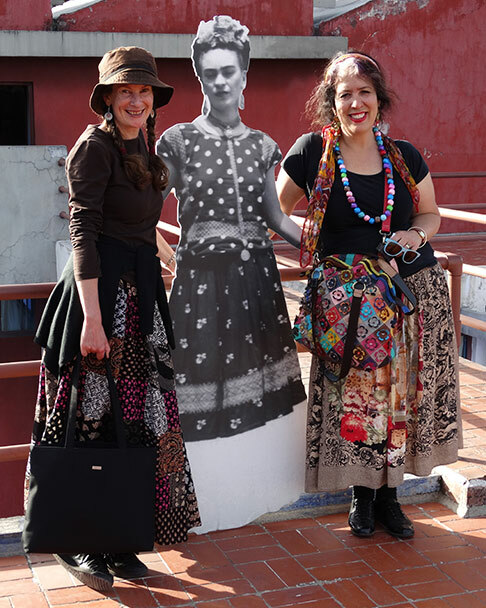 Lucy Buttenshaw, Frida Kahlo and Wendy Sharpe in Mexico City. All rights reserved. This website and all artworks and materials contained herein are protected by the copyright laws of Australia, and all other countries pursuant of the Berne Convention. They may not be reproduced, or transmitted, in whole or in part, for public or commercial purposes without prior written permission of Lucy Buttenshaw. Any infringement will be liable to the full extent of the law. The following exception is granted: artworks and material from this site may be reproduced for private or student research.